After two successful events in Solapur third edition organized by Solapur Garment Manufacturers Association organizes to be held from January 8 to 10. 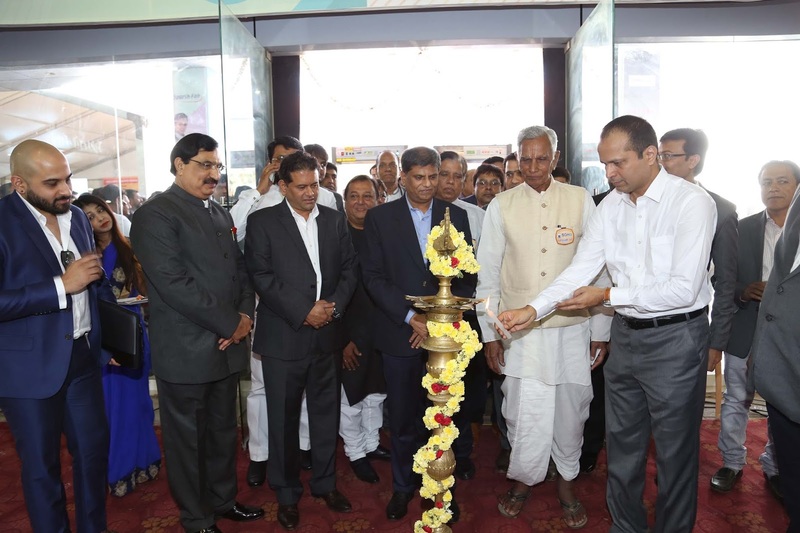 Sushil Gaekwad, Director of Textiles, Government of India inaugurated the 3rd edition of Uniform, Garment and Fabric Manufacturers Fair 2019 at Dr Prabhakar Kore Convention Centre in Bengaluru. Sushil Gaekwad, Director of Textiles Government of India said that the Solapur has the potential of becoming the Uniform Hub of the country and the Central government will extent all support in achieving the goal set by Maharashtra. He said that the Solapur industry has aptly achieved prosperity and growth and has generated large employment. Gaekwad said that the Modi Government’s regime has supported the industry in achieving huge growth with right policies. 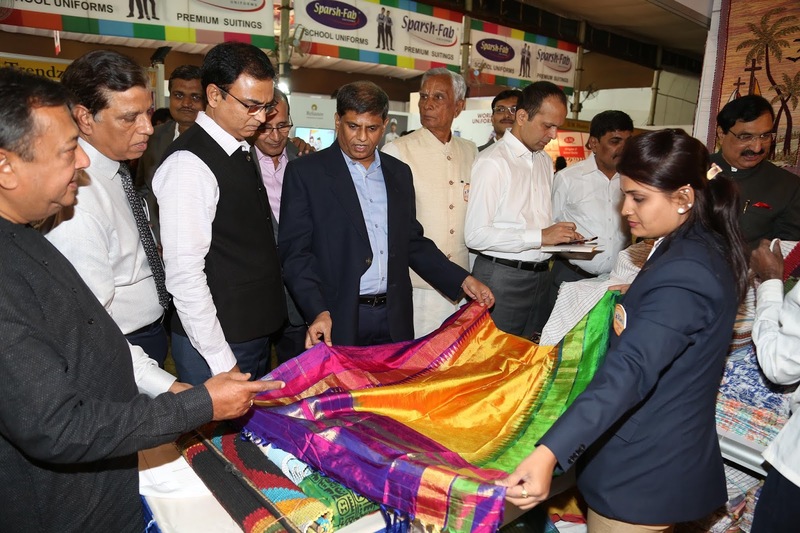 On behalf of the Central government Gaekwad, Director of Textiles, Government of India, inaugurated 3rd edition of India’s Uniform, Garment and Fabric Manufacturers Fair 2019 in Bengluru on Tuesday January 8. The Fair has been organized by Solapur Garment Manufacturers Association from January 8 to 10, 2019 at Dr Prabhakar Kore Convention Centre, Opp Peenya Metro Centre, Near Yashwantpur Railway Station, Bengaluru and will be held between 10 am and 9pm. Gaekwad was accompanied by H.K.Govindraj, Principal Secretary, Textiles Department, Maharashtra. Dr. Prabhakar Kore, chairman KLE society & Rajya Sabha MP; Arjunji Khotkar Minister of State for Textile, Maharashtra; Atul Patne Secretary , Textiles Department, Maharashtra too were present for the inauguration function of the 3rd edition of Uniform Garment and Fabric Manufacturers Fair 2019 in Bengaluru. Among other dignitaries from the Textiles industry to participate in the inaugural function included, Ramvallabh Jaju, President Solapur Readymade Kapad Utpadak Sangh, Nilesh Shah, Fair Chairman; Shri Rajendra Kochar,Secretary Solapur Readymade Kapad Utpadak Sangh; Priyavarta Mafatlal,CEO Mafatlal Industries Limited; M B Raghunath, President Sales, Mafatlal Industries Limited; Manoj Chandna,Director Sales and Head Institutional sales, Raymond Ltd; Ashok P. Solanki, Managing Director, Unitex Synthetics (I) Pvt. Ltd (Wocky Tocky); Vikas Todi, Director,Sparshfab textiles pvt ltd; Sunil Tibrewal, Founder & Designated Partner, Qmax Mills LLP; Suchendra Hanchate, DGM Product & Wholesale Trade, Bombay Dyeing;. Prakashji Dakalia, Founder & Director of Mahaveer Textile; Vivekji Mehta, Head Marketing, Reliance Industries Ltd Textile Division; Pradipji Ringasia, Senior General Manager, Siyaram Silk Mills Limited. The Fair witness the discussion on various issues and topic related to the industry. The panel discussions were held on Making India world's Uniform Sourcing Hub and steps needed to be taken to materialize it. Office bearers of Solapur Garment Manufacturers association & delegation of fabric Manufacturer’s participated in the discussions along with other stakeholders. The Fair was held outside the state this year with a aim of promoting State of Maharashtra as Uniform Sourcing hub of world, as never such imitative has happened till today. Renowned brands in uniform and garment sectors are participating in the Fair. Mafatlal, U Code, Valji, Qmax World, Sangam, Bombay Dyeing, Siyaram’s Unicode, Sparsh Fab, Only Vimal, Wocky Tocky are some of leading brands in Uniform fabric manufacturers who have been associated with the organizers. The Fair has participation by brands, retailers, dealers, manufacturers, wholesalers, retail chains, semi-wholesalers, traders, distributors, E-commerce agents, retail chains under one roof. The fair has uniform wear, men’s, ladies and kids wear, shoes manufacturers, socks manufacturer, uniform related accessories and uniform fabric at the display. Brainchild of Textiles Minister of Maharashtra Shri Subhash Deshmukh, first two Fairs was organized in Solapur in January 2017 and 2018. Inaugurated by Maharashtra Chief Minister Devendra Fadnavis in January 2018, the Fair witnessed as many as 10000 retailers from across the country visiting it. It was organized in association with the Maharashtra State Government’s Textile Ministry, sponsored by Mafatlal Industries Limited, the market leader and largest producer of corporate uniforms, work wear and school uniform fabric and garments in India and supported by Bank of India as banking partner. The ultimate aim of the Fair was to generate 2000 new units in Solapur by the year 2022, in the process making this city the uniform sourcing hub of India.